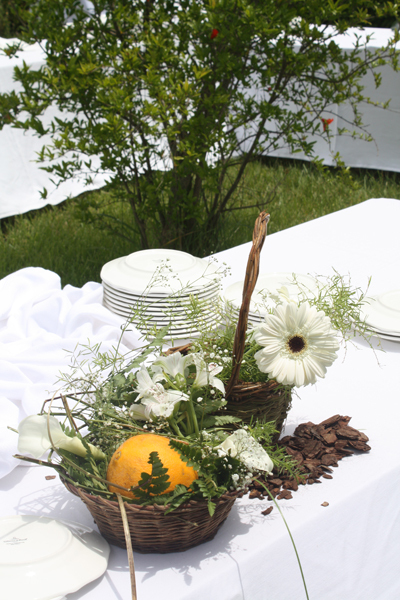 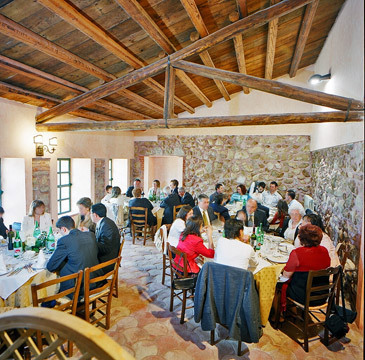 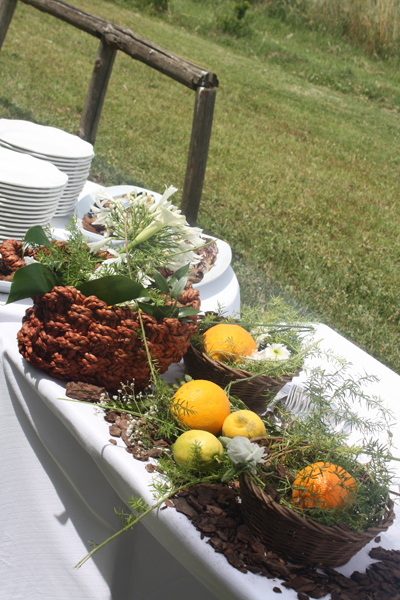 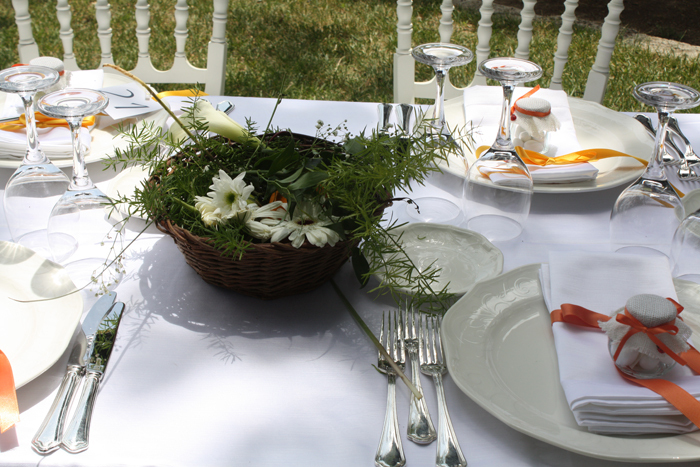 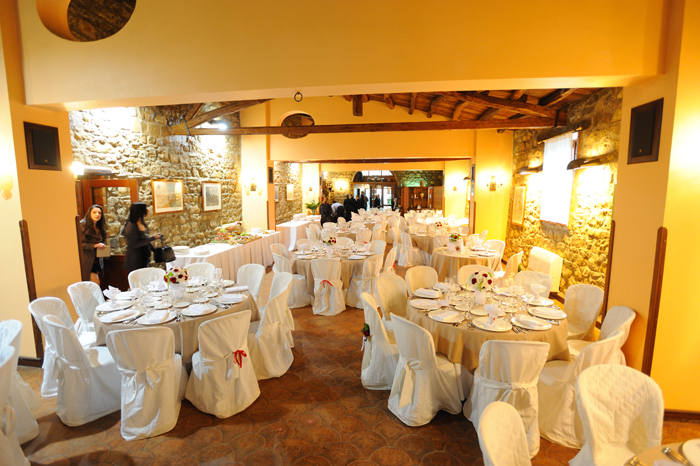 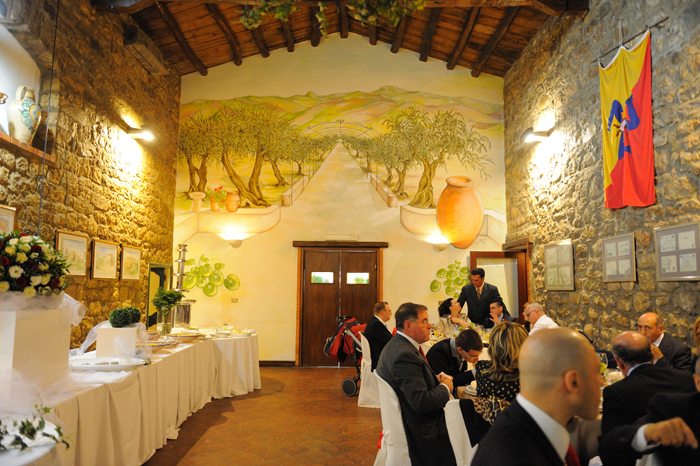 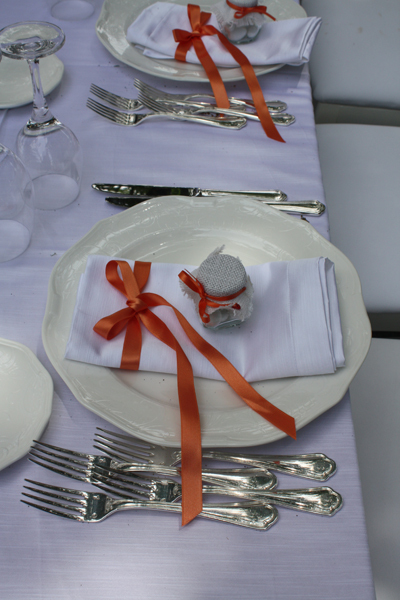 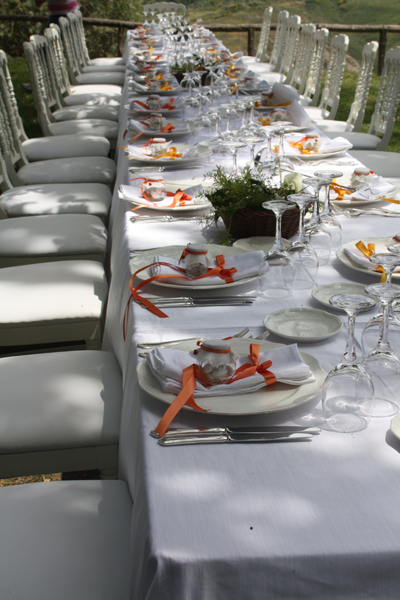 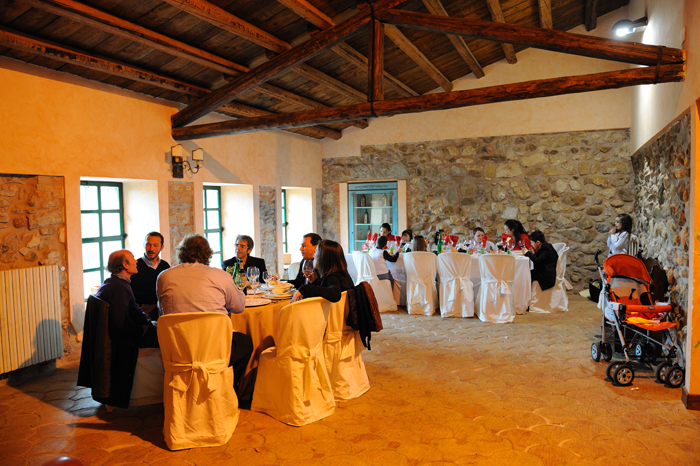 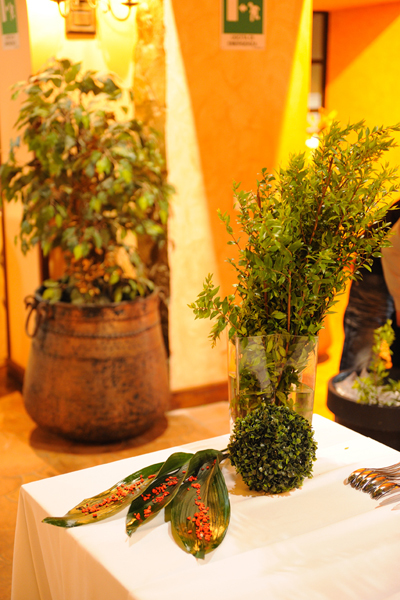 We host any kind of party, for weddings, birthdays etc… Villa Sant’Andrea also represents an alternative to the impersonal hotel interiors for the organisation of professional meetings, conferences and seminars. 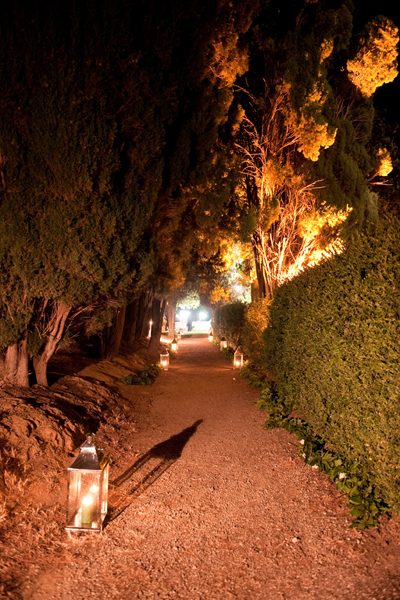 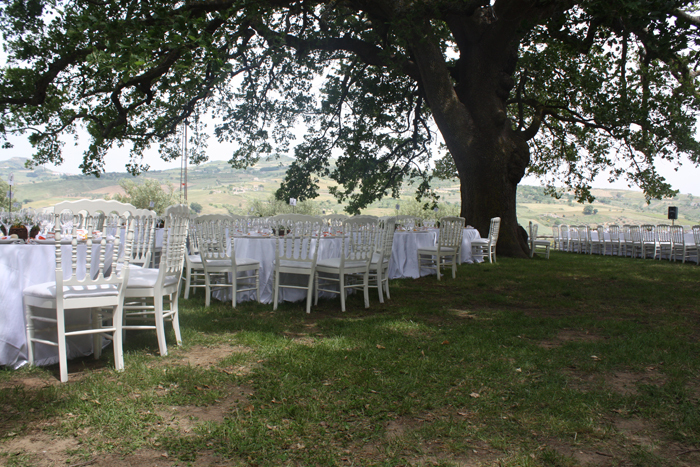 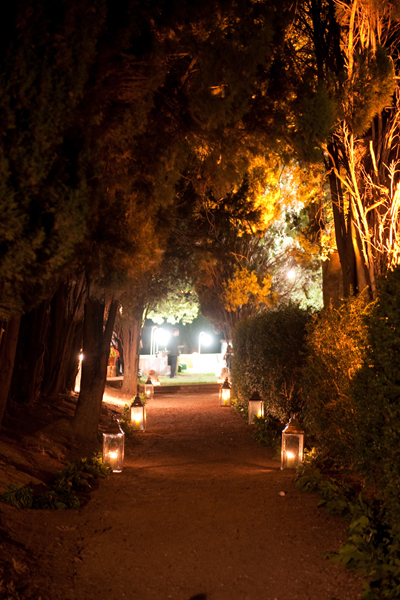 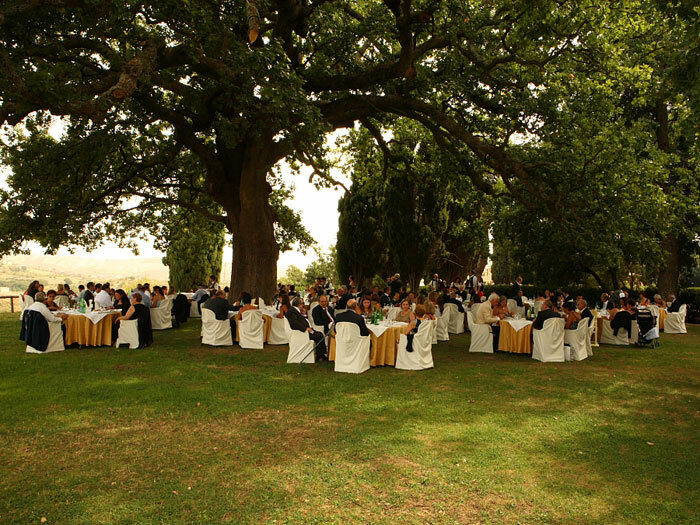 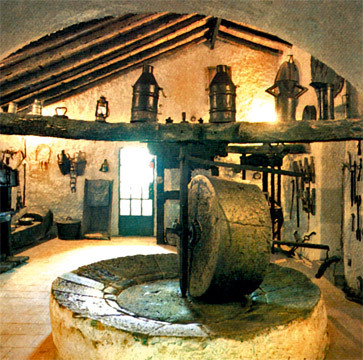 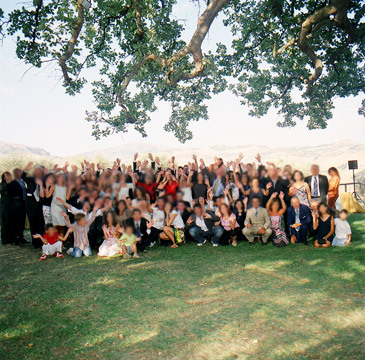 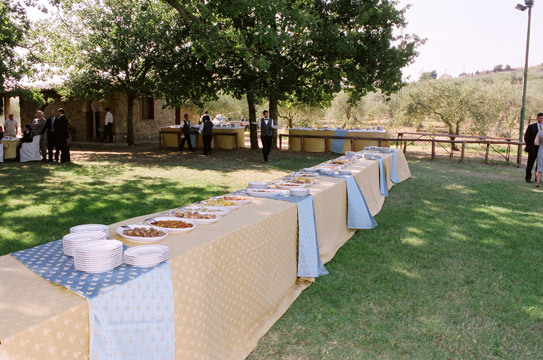 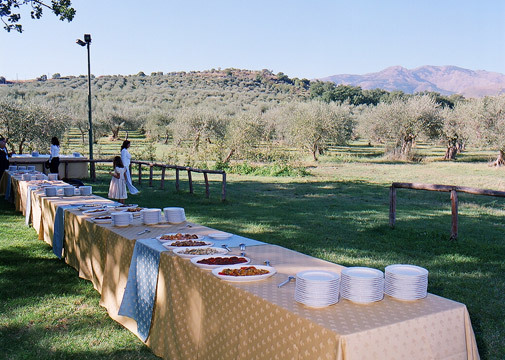 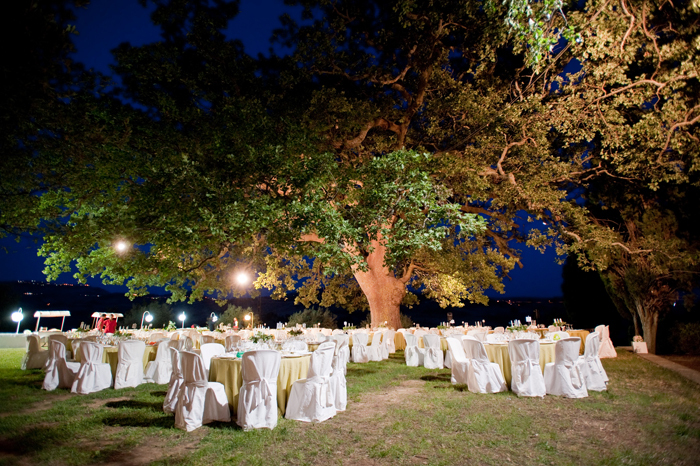 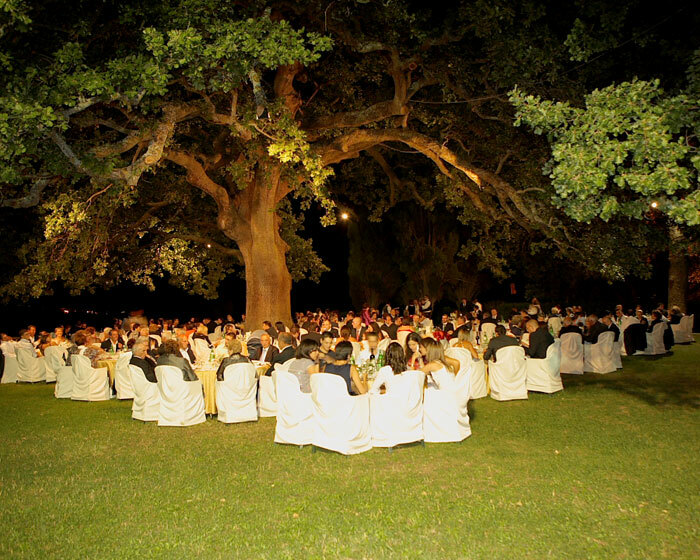 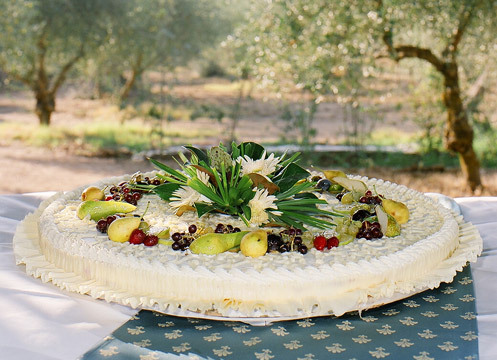 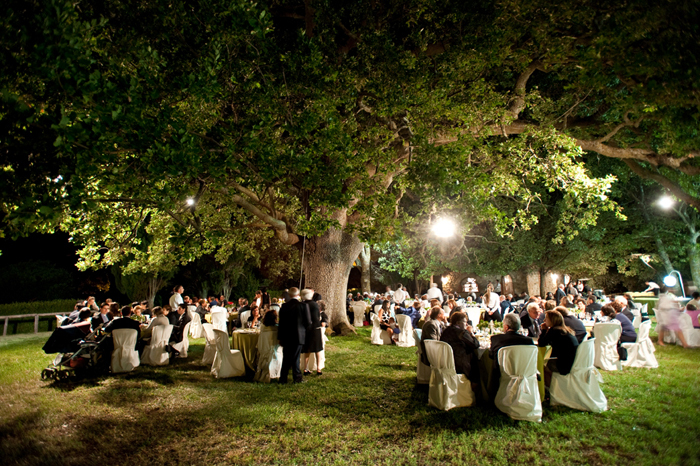 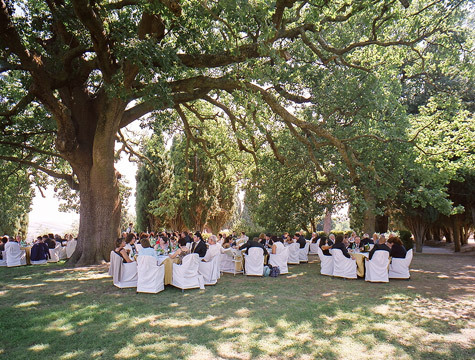 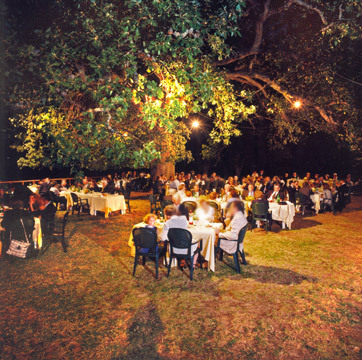 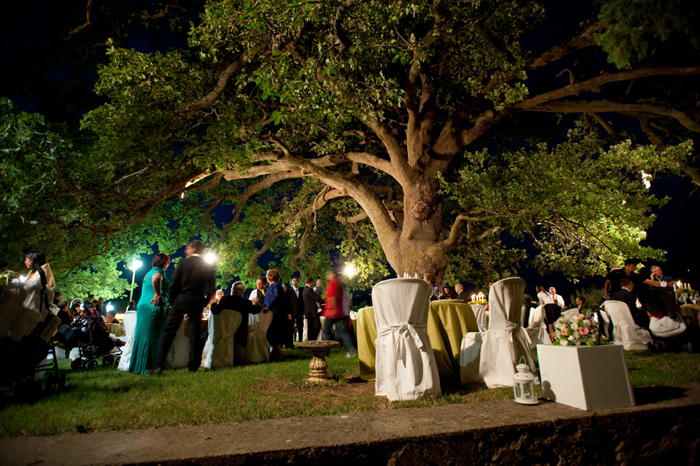 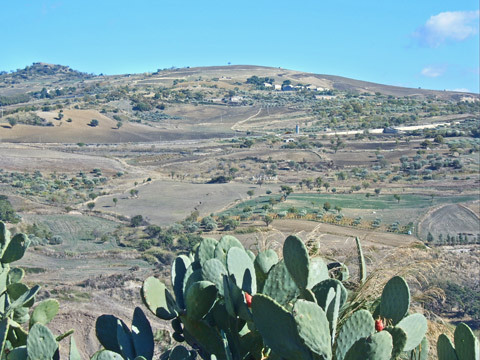 During the winter, banquets are hosted in the huge eighteenth century house, recently restored and renovated, and in summer it’s possible to organise open air parties, under the famous Sant’Andrea’s Oak, unique in Sicily. 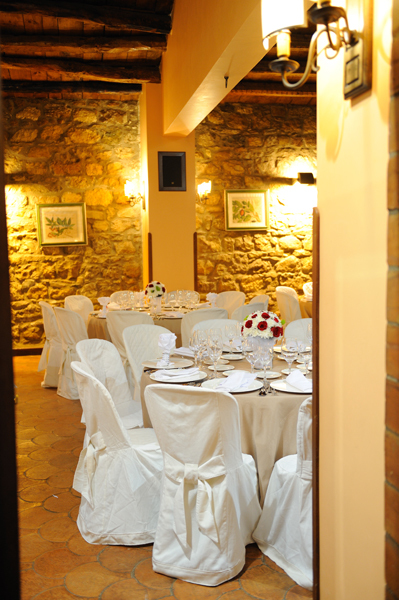 The upper floor of the country house hosts a flat, exclusively available to those who organise their wedding party at Villa Sant’Andrea. 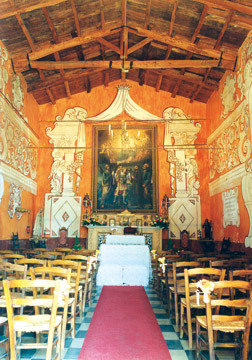 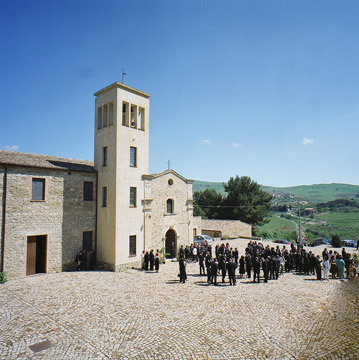 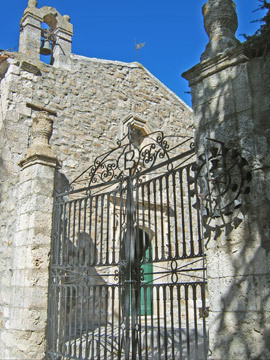 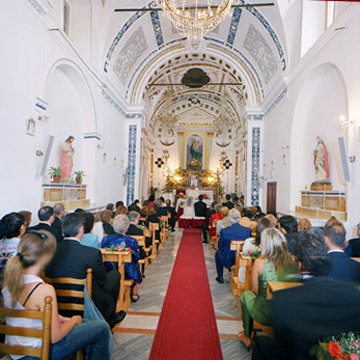 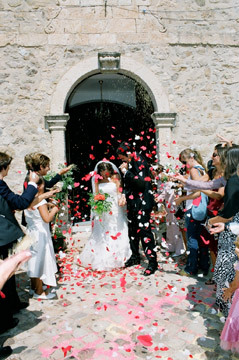 Sant’Andrea’s Chapel is the ideal setting for silver and golden wedding ceremonies, accompanied, on demand, by an oboe and a soprano. 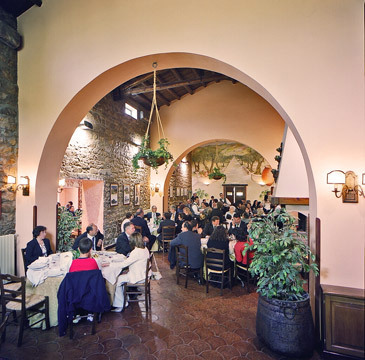 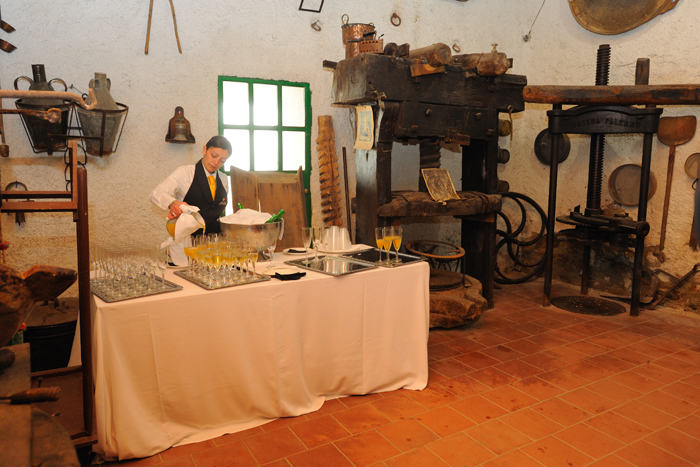 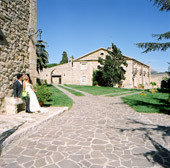 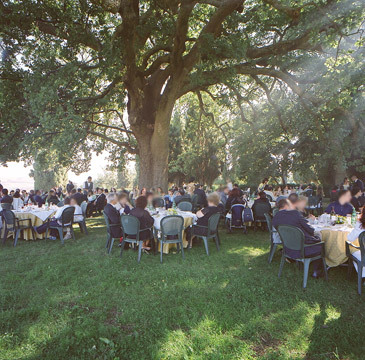 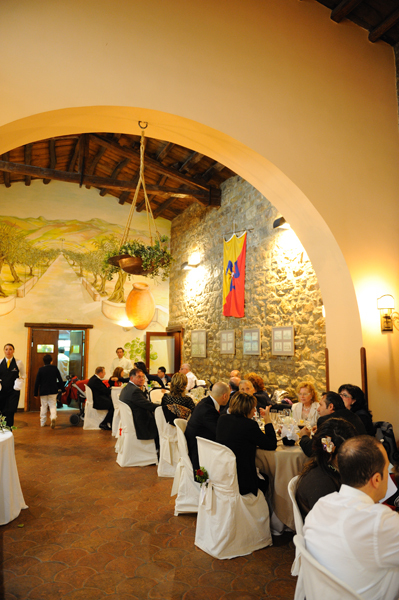 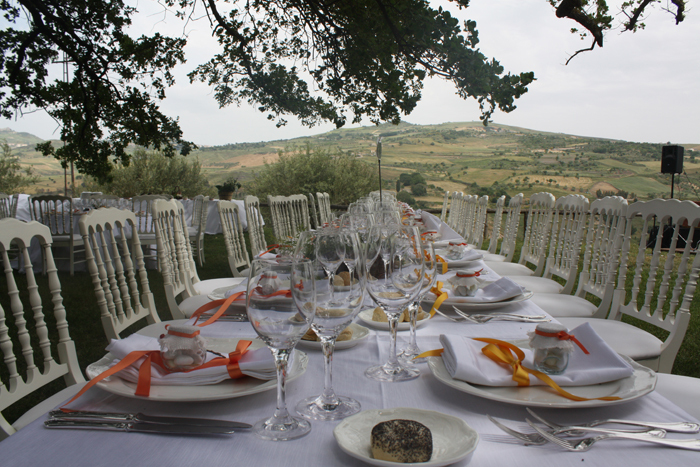 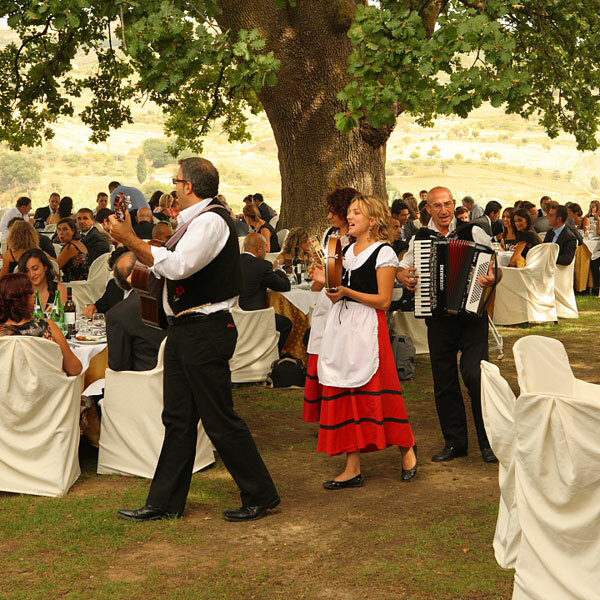 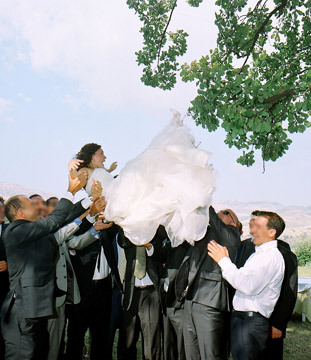 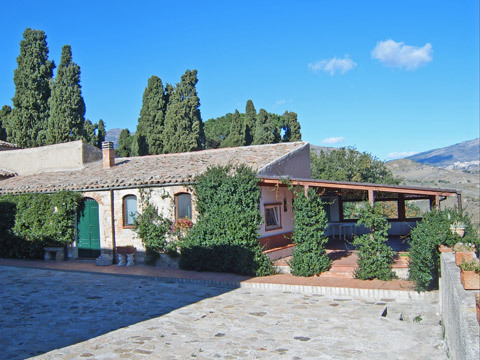 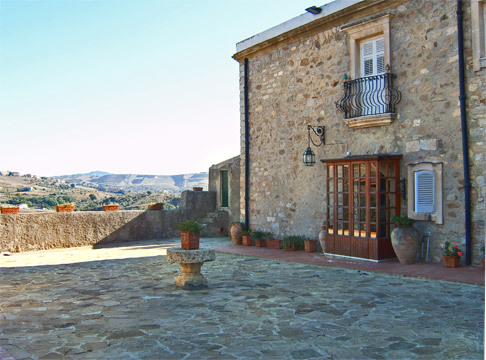 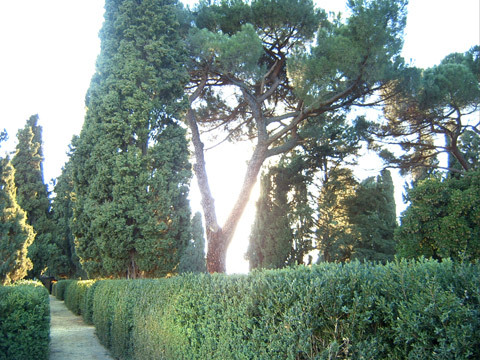 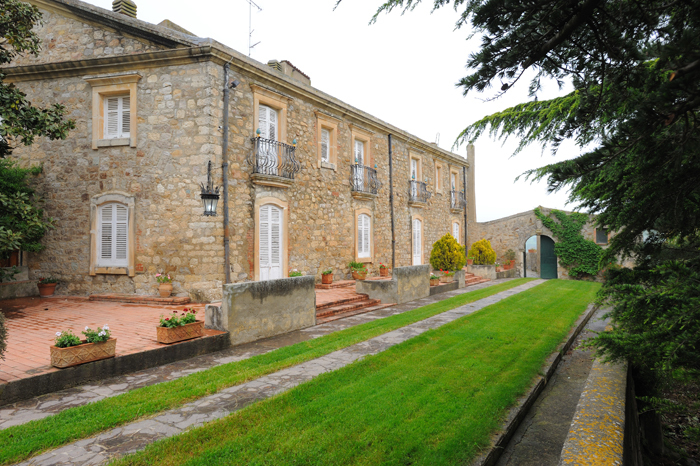 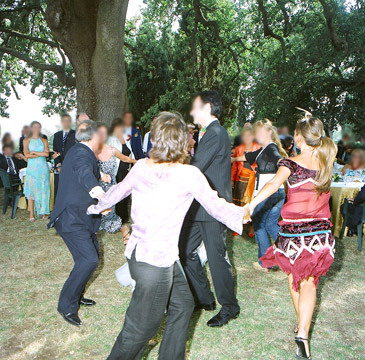 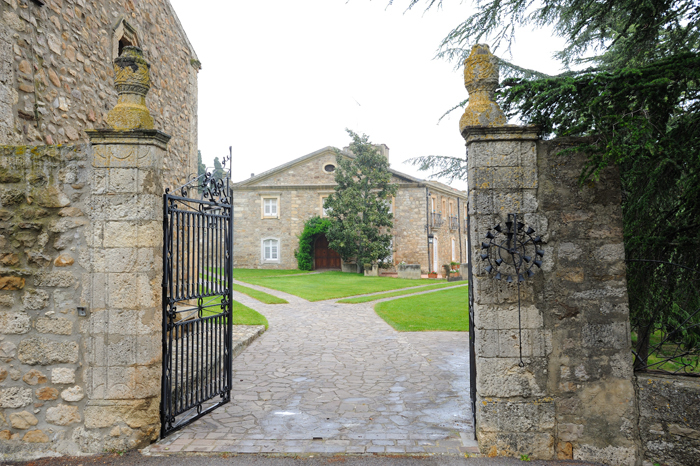 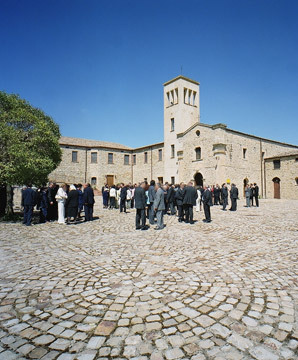 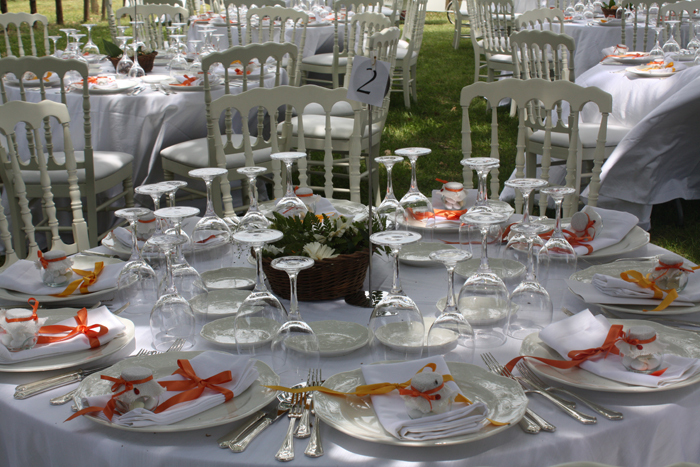 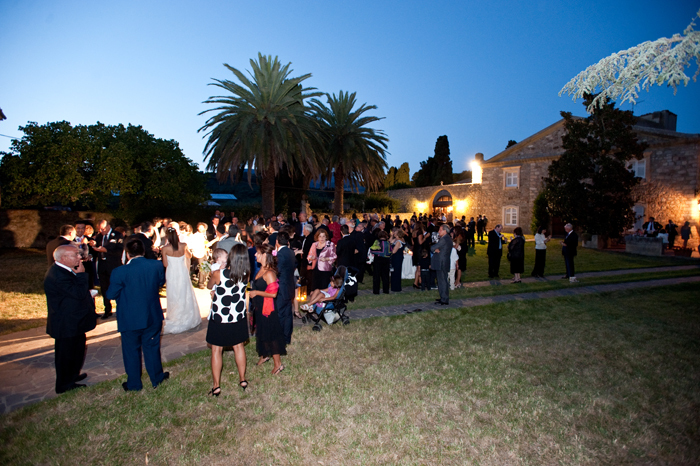 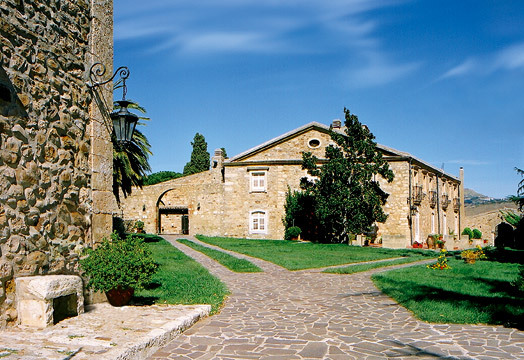 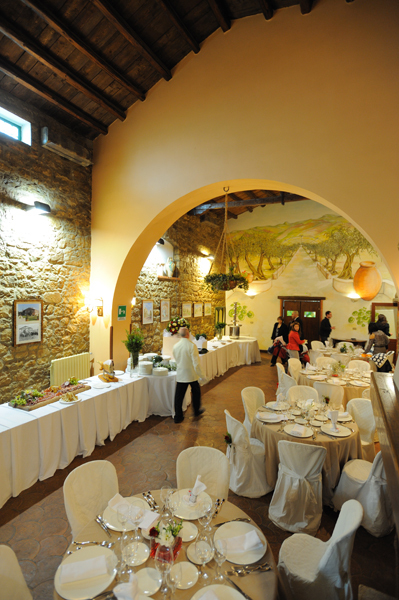 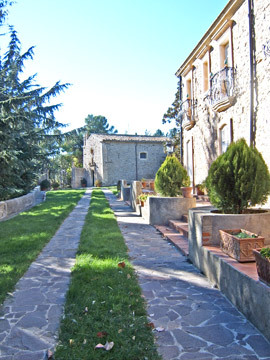 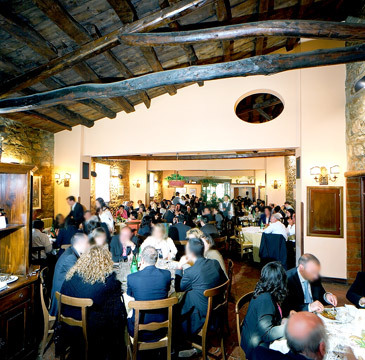 To make your events more prestigious and unique, Villa Sant’Andrea offers, on demand, some treats, such as the “water man”, The “shepherd’s corner”, and live music with “Castellana Folk” group or the romantic notes of a Romanian violinist, accompanied by the organist Alessandro Valenza. 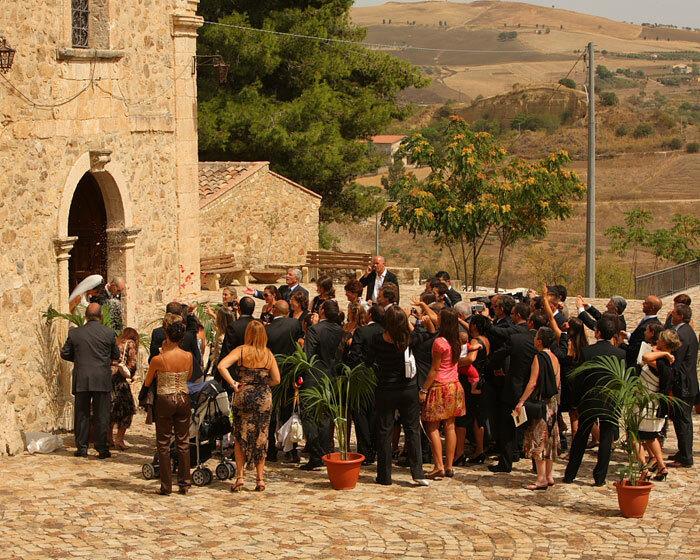 For those who want a more complete organisation, photographer, hairdresser and aesthetician are available, as well as a florist for the decoration of the Church.